Looking for a Robart Victory High Port Bit which is durable and affordable? You came to the right place. Here at Horse Tack Now we have a nice selection of High Port Bits for you to choose from. This great silver inlaid bit comes with copper barrels and weighted shank. 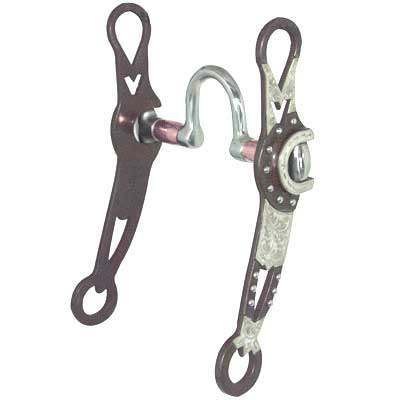 The Robart High Port Bit helps raise the shoulders and give at the poll. Copper barrels increase salvation, which reduces irritation in the sensitive parts of the mouth as the bits slide over. Finding a High Port Bit can be very hectic and time consuming. This is why we strive to offer only exceptional quality products that we believe are made of unsurpassable craftsmanship.